The Dana and David Dornsife Office for Experiential Learning in the LeBow College of Business offers immersive international residency opportunities to undergraduate and graduate students. 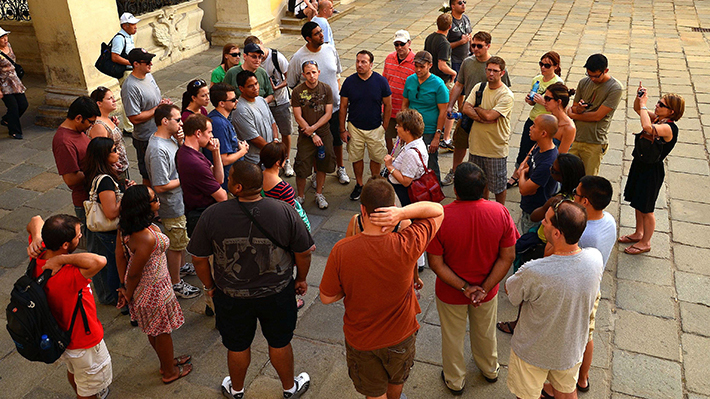 Throughout the various international residency programs, students study the international dimensions of business decisions. At the end of a full term of coursework, students visit foreign countries to develop a better understanding of international economic and business environments and the opportunities and challenges facing real companies around the world. Students gain real-world consulting experience for an international business and travel to present final recommendations to the client in person during the undergraduate international residency. Combining international business coursework with a week-long residency abroad, students study and experience economies, opportunities and challenges around the world.